After spending 10 years in the fitness industry training clients one-on-one and in small groups, I came to the conclusion that working with women in numbers has beauty and power in it. There is nothing more encouraging for me, as a a trainer, than women encouraging and sharpening other women in the community fitness atmosphere. My purpose is greater than just helping you create a lean and strong body; it is so much more than that. As a mother of two young children, I've learned how to make fitness and healthy lifestyle choices a priority and can now empathize with a larger population of women. At the age of 19, I suffered from a disc herniation in my lower back. I had always been a very competitive athlete up to this point so this injury changed my life. Fast forward to life as a mother in my 30's, I am constantly refining myself and my workout routine to achieve the results I desire while keeping my back pain at bay and maintaining rock solid core strength. 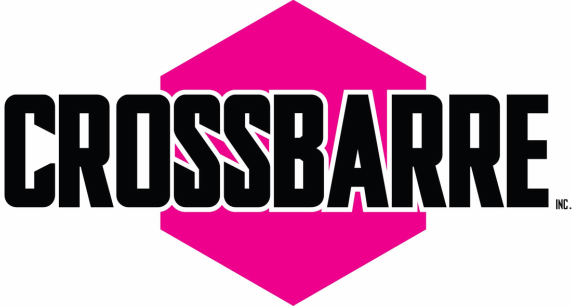 Part of my vision and passion for CrossBarre is to assist women of all stages in life, fitness levels, and degrees of athleticism to achieve quick and powerful results using my technique. As a former athlete, this injury took a huge toll on me physically and mentally. I've used my training, certifications, college degrees, and the passion of an athlete-at-heart to cultivate a new and edgy- low impact-high intensity workout curriculum. I feel confident and ready to share CrossBarre with my community. Former dancers, athletes, moms, future moms, grandmothers, business women, injured, overweight, underweight, in need of encouragement and more energy...all of you...this class is for you. I look forward to meeting you. See you at the barre! Creator & Head Trainer of CrossBarre Inc.
​Brandi Ahmad brings 14 years of professional dance and cheer experience to the program with 6 years coaching with the WNBA Atlanta Dream Dance/Cheer Team. She has danced with the Atlanta Falcons of the NFL, the Georgia Force of the AFL, and the Atlanta Thrashers of the NHL.Education: BA in Biology from Carson-Newman College. Brandi has been married to Hamzah for 5 years and has 2 energetic boys Jayden 3.5yrs and Mayson 2 yrs. Brandi is available for private events. She can provide dance fitness by theme and choreography for birthdays (children and adults) and Girls' Night Out events. Rayne Estrada is a seasoned barre and fitness enthusiast. Rayne doubles as a full-time working mom of three precious girls and a new addition to our team of group instructors! Rayne is passionate about women's fitness, and brings with her countless hours of experience in barre, dance, yoga, and motherhood. She loves sharing her creativity and passion for overall health and wellness with a natural approach.